Figure Skates, Figure Skating Boots & Figure Skating Blades. When you want quality figure skates and figure skating blades, look no further. like Riedell, Jackson, GAM, Risport, Paramount, Ultima Matrix, MK, Wilson, Eclipse & more! Beginner Figure Skates, Beginner Ice skates. Buy brand names like Jackson, Riedell, GAM and Risport. GAM Figure Skates and GAM figure skating boots. Buy Figure Skating Blades from name brands like Wilson Blades, Mk Blades, Eclipse Blades, Ultima Matrix, and Paramount Blades at Kinzie's Closet. 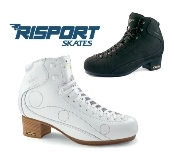 Risport figure skates and figure skating boots for girls, women, men and boys. Jackson Figure Skates, Jackson Ice Skates, Jackson Figure Skating boots for girls, women, men and boys. From beginner skaters to elite skaters, Jackson skates have helped skaters achieve their skating dreams! 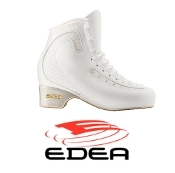 Edea Figure Skates, Edea Ice Skates, Edea Figure Skating boots for girls, women, men and boys. From beginner skaters to elite skaters, Edea skates have helped skaters achieve their skating dreams! Riedell Figure Skates, Ice Skates, Figure Skating Boots. Kinzie's Closet Skating Store specializes in figure skating. We have ice skates for men, women, boys and girls. Harlick custom figure skating boots. Figure skating is a great sport. It's great for exercise and learning balance. The most important part of figure skating is the figure skating equipment. From beginner skaters who need a softer figure skating boot to the more advanced skater who needs stiffer skating boots, Kinzie's Closet has carries a brand of figure skate to suit your needs. 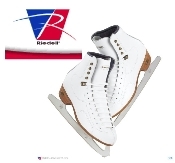 Riedell figure skates have been a popular figure skate made in the United skates for years. Riedell figure skates are the only brand to carry wide skates in the lower level beginner skates. Jackson Figure skates are also a popular beginner figure skate and are also worn by champion figure skaters all over the world. Risport Figure Skates are fine Italian made figure skates. They are beautifully made and popular among Russian figure skaters. GAM figure skates are popular among the french Canadian skaters and are great for figure skaters who have a combination width foot. Kinzie's Closet also carries the best figure skating blades on the market at great prices. Paramount blades are precision milled blades that have a lightweight alluminum chassis. They are made in the USA and are popular among advanced skaters. Eclipse blades are made by Riedell also in the USA. 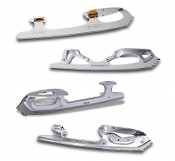 They are made with high quality steel and are available with a titanium chassis which is also a lightweight figure skating blade option. 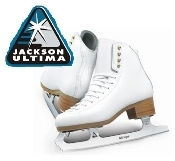 The Ultima blades and Ultima Matrix blades are made by Jackson. They have been long trusted by elite skaters to help win championships. Wilson blades and Mk blades are figure skating blades that have been around for centuries and have been long trusted by figure skating coaches.